To read our newsletter, The Link, click here. For current news and events, click here. To make a donation or payment online, click here. For a link to a daily devotion, click here. 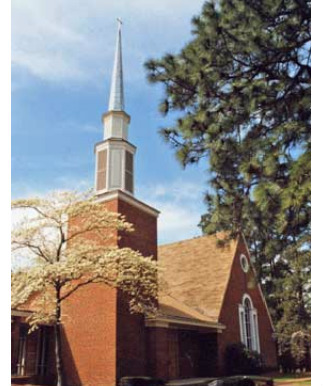 Welcome to the website of Lakeside Baptist Church. Whether you are a member or a guest, we would like for you to know more about our congregation and its ministry. We hope that the information contained on this website will be helpful to you, but we encourage you to get to know us personally. We invite you join us for Sunday School at 9:45 a.m. and to worship with us each Sunday at 11:00 a.m. Please visit us or call with any questions you might have. Thank you for visiting our website. We are persons on a journey of faith. Our church seeks to be a worshiping and serving community where the gospel of Jesus Christ is modeled and proclaimed. Our church is Baptist by tradition and heritage, but in our worship and practice we seek to move beyond the label of a denomination to incorporate the richness of other Christian traditions. In our community service we support many ecumenical ministries that convey God's love and care beyond the lines of any denomination. We receive members by profession of faith and baptism, affirmation of faith, or by transfer from other Christian churches. We honor the previous baptism of persons coming from other Christian denominations. If you are interested in knowing more about our church and its ministries, please click here and let us know how we might help you or call us to speak to one of our ministers.